UFC is set to make its UFC Fight Night on ESPN+ debut, with the showdown between UFC flyweight champion Henry Cejudo and UFC bantamweight champ TJ Dillashaw for Cejudo’s 125-pound title belt, live from Brooklyn’s Barclays Center this Saturday, Jan. 19. The main event on the preliminary card features Donald “Cowboy” Cerrone in a lightweight bout against Alex Hernandez. 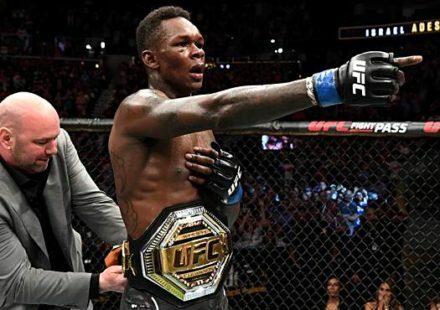 ESPN’s lead-up, surround coverage throughout the week includes streamed, on-air and online content via MMA shows, news and information, exclusive features and interviews and archival UFC events, along with Friday Weigh-ins and a livecountdown clock at event start. On ESPN+, UFC is always on – 24/7/365 – including the groundbreaking new documentary series UFC: Destined, exclusively on ESPN+. UFC: Destined chronicles the journeys of UFC superstars in the moments leading up to, during and after a pivotal bout. 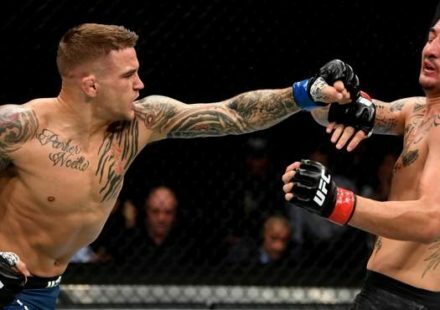 Each of the two installments of UFC: Destined follows two featured athletes – set to fight each other in an upcoming PPV, UFC Fight Night on ESPN+ or UFC Fight Night on ESPN – as they prepare for their showdown in the Octagon. Part one is available now on ESPN+ and part two streams on ESPN+ the week following it. Part one will show and tell the athletes’ stories and backgrounds, plus follow the personal and professional storylines in the days and weeks leading up to the fight. Part two picks up the athletes’ stories in the moments immediately before, during and after their fight. 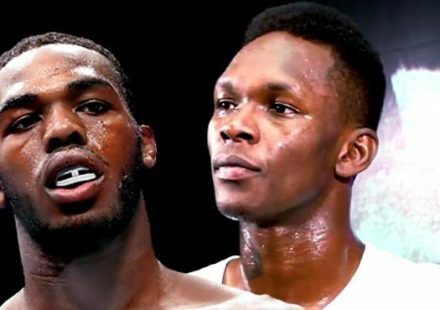 This will include never-before-seen footage and access – from inside the locker room, pre-fight superstitions, meals, workouts and more – as well as post-fight reactions and emotions, including the thrill of victory and the agony of defeat. 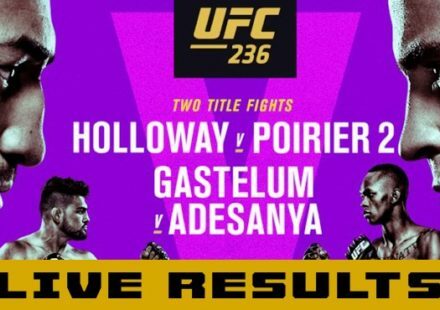 Production for all UFC events on ESPN+ and ESPN is provided by UFC. Calling the live action will be lead play-by-play man Jon Anik alongside current UFC heavyweight champion Daniel Cormier as the color commentator. The desk team will be on-site in Brooklyn featuring analysis from former UFC Light Heavyweight Champion Rashad Evans and former UFC Middleweight champion Michael Bisping. Karyn Bryant will serve as host and Megan Olivi is on all reporting duties. As part of UFC Fight Night on ESPN+ debut, fans will have the opportunity to experience their own UFC journey to ESPN+via Brooklyn-based fan experiences set up across the city. Follow @ESPN and @UFC on Twitter for location details. ESPN Deportes will provide extensive Spanish-language coverage throughout the week, including special reports and fighter interviews on SportsCenter, Raza Deportiva and Jorge Ramos y Su Banda. On Fight Night, the network will air UFC Origenes: Henry Cejudo, a 30-minute special on Cejudo’s life, family and journey to the UFC. Extensive lead-up coverage will also be on ESPN Deportes Radio and ESPN Deportes’ digital and social platforms, including ESPNDeportes.com and onTwitter, Facebook and Instagram. Fans can join the conversation throughout the week by tagging tweets with #UFCxESPN. UFC’s Spanish-language commentary for UFC Fight Night on ESPN+ will be provided by UFC athletes Victor Dávila (play-by-play), Santiago Ponzinibbio (analyst), and Brandon Moreno (analyst).